The Trump Administration is racing forward with their plan to open oil drilling in the Arctic Refuge, the sacred homelands of the Gwich'in people and one of the last truly wild places on earth. The Bureau of Land Management is deciding whether or not to approve Trump’s plan, and it’s up to us to keep them from selling the the Arctic to the highest bidder and destroying our climate. Submit a public comment to the Bureau of Land Management now urging them to stop Trump’s land grab for oil and gas drilling in the Arctic. The Arctic National Wildlife Refuge is the largest protected wilderness in the country and the area’s coastal plain is believed to be the largest prospective untapped onshore oil reserve in the U.S. This is a carbon bomb that must be left in the ground. Trump is working closely with his fossil fuel friends to solidify new drilling opportunities on federal lands. During the government shutdown, while communities went without key resources, his administration continued to do work for the fossil fuel industry to open up drilling in the Arctic. For decades, opposition to drilling in the Arctic National Wildlife Refuge has left the region untouched by industry. But the renewed fervor of the Trump administration to drill in the refuge is increasing the possibility of extraction as they regulatory rollbacks to gain access to federal lands. I am writing today to express my strong opposition to drilling within the coastal plain of the Arctic National Wildlife Refuge. Drilling in the coastal plain of the Arctic Refuge poses unacceptable risks to our wildlife, climate, and the members of the Gwich’in Nation. The draft Environmental Impact Statement provides an inadequate and incomplete assessment of how drilling will impact wildlife, climate change, and the native Gwich'in who have relied on the landscape for millennia. This shameful report only includes action alternatives that would drill most or all of the coastal plain and would open its entire 1.5 million acres to intrusive and harmful seismic exploration without meaningfully assessing those impacts either. The document also fails to collect and analyze scientific data necessary to meaningfully address the impacts of drilling, and BLM is not allowing time for meaningful discussions with members of the public, especially local Arctic communities. The Arctic Refuge is one of America's last wild places, and the overwhelming majority of Americans support its protection. The coastal plain is the biological heart of the Arctic National Wildlife Refuge, home to abundant wildlife including polar and grizzly bears, wolves, muskoxen, Arctic fox and migratory birds from all fifty states. This vital landscape provides the most important onshore denning habitat for polar bears in the United States. Virtually the entire coastal plain is essential calving grounds for the Porcupine caribou herd - a species the Gwich'in depend on for their survival. And members of the Gwich'in Nation will feel the impact of Arctic drilling most acutely. Your plan fails to address the fact that oil exploration will likely drive away the Porcupine caribou herd, thus depriving the Gwich'in of 80% of their food supply. Any plan that prioritizes corporate greed over human rights is unacceptable, and Arctic oil exploration cannot be allowed to move forward. At a time when the Arctic is warming twice as fast as the rest of the United States, burning the oil in the Refuge would be the carbon equivalent of adding 776 million more cars to the road. A few corporations might make money from this deal, but all of us will suffer the long-term consequences of their greed. There has been bipartisan opposition to drilling in the Arctic National Wildlife Refuge for several decades and nearly two-thirds of Americans are opposed to such drilling. To begin drilling in the Arctic National Wildlife Refuge would be irresponsible and unnecessary. Please put a stop to this aggressive attempt to drill our Arctic National Wildlife Refuge. Thank you. Thank you for submitting a public comment. Click here to donate to stop Trump's fossil-fueled agenda. Will you share this with your friends and family to help put as much pressure on the Bureau of Land Management as possible? The deadline to submit comments is March 13th. Trump is racing forward with a plan to open oil drilling in the Arctic Refuge. 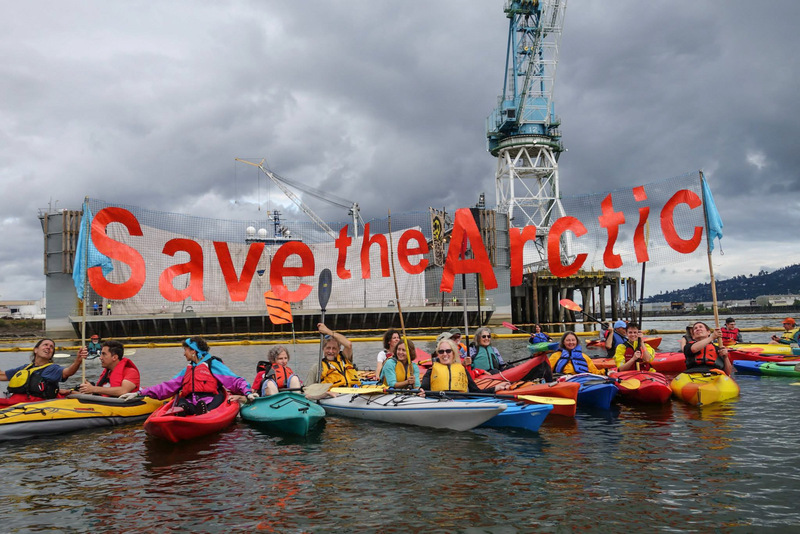 Tell the Bureau of Land Management to protect the Arctic and say no to drilling.